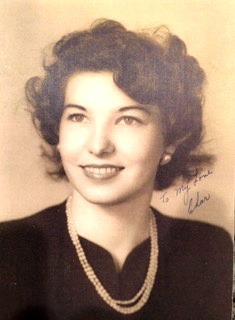 Charlene Ruth Hobbs, 90, passed away January 14, 2016 in Mesa, Arizona. Funeral services will be Thursday, January 21, 2016 at 10 AM, preceded by a visitation at 9 AM, at The Church of Jesus Christ of Latter-day Saints, Mesa 18th Ward Chapel, 2228 E. Brown Road, Mesa, Arizona. Interment will be at the National Memorial Cemetery of Arizona, 23029 N. Cave Creek Road, Phoenix, Arizona. I had meet Mrs. Charline Hobbs when I was 15 years of age,, she spoke her mind very intelligent women I ever met. She will be missed!! Whose lamp had ceased to shine. And shook the world about. His lamp was glowing fine! Thank you so much for your kind words. I am humbled to know how much she influenced people throughout her life. I appreciate you adding your condolences. So many years have gone by. I would like to get in touch with you. My email address is dhobbs2001@gmail.com. Please write me. Thank you. I will always be indebted to Charlene who was there when I needed it most in a time of crisis. She was my best friend and Visiting Teacher in Anaheim, California many years ago and I look forward to seeing her again in the eternities. My condolences to her family that is blessed by her testimony and example.